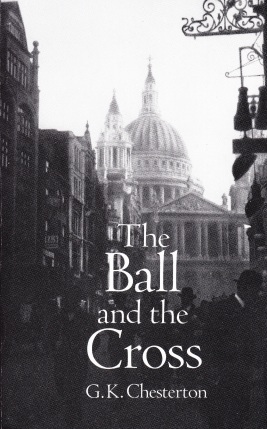 This allegorical screwball comedy kicks off as a naive Catholic and a naive atheist encounter each other in London, and both are so enraged and delighted to find someone with earnest belief that they almost immediately challenge each other to a duel to the death. However, most of society cannot even believe that they would take life as seriously as that, and the two heroes need to constantly dodge officers of the law and other members of society who are mostly uninterested in the duel except that they wish that it would not take place and disturb their apathy. 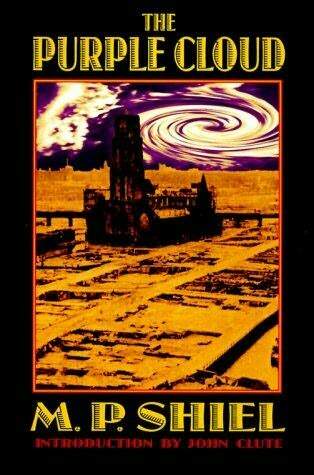 The inspiration for the novel was a debate that Chesterton had with an atheist in the press. As the two fictional combatants, MacIan and Turnbull, fight their constantly-interrupted duel across land and sea, they develop a friendship based on mutual respect for each other’s honesty and integrity of character, and find more in common with each other than with many others they encounter who are wishy-washy about their beliefs, or whose words and actions go in entirely opposite directions. In the latter stages of the novel both MacIan and Turnbull are locked up in an asylum run by a figure that symbolizes both Satan and the rising tide of communism, wishing to erase both God and the integrity of the individual from society. 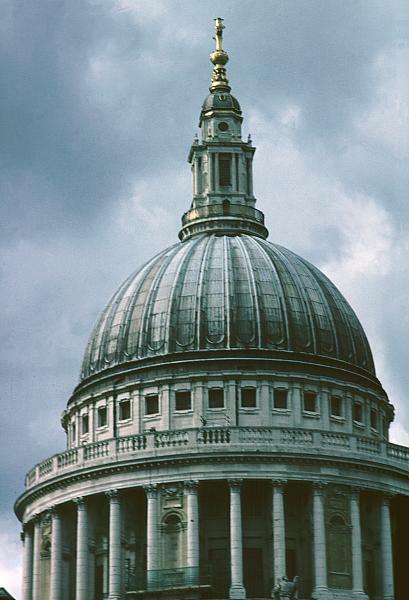 The dome of St. Paul's Cathedral, around which much of the early action takes place, and whose crowning ball and cross form a key symbol of the novel. I thought the novel bogged down a bit in the second half, and even Chesterton, reflecting on it later in life, thought it didn’t fully deliver on the potential of its plot. 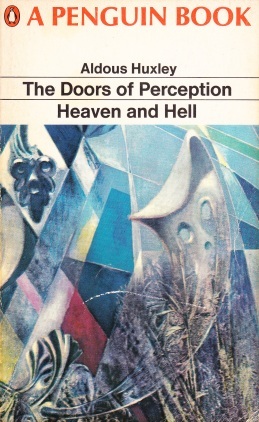 This edition features a foreword by mathematician and philosopher Martin Gardner, who makes the interesting point that, in the modern world, even when public figures state their religion, we do not expect them to actually believe in what they say, and though they may be asked about things like their sexual relations, what they believe to be the purpose and ultimate end of human life is considered off-limits. Among the fun and games and flights of word-craft, Chesterton warns us about a world where the noble aim of tolerance somehow slides into a lukewarm miasma where the idea that someone would actually die or kill for what they believe to be true becomes ridiculous not because what that person believes is false, but because we do not want to be so risky or unfashionable as to take the chance to believe in anything. 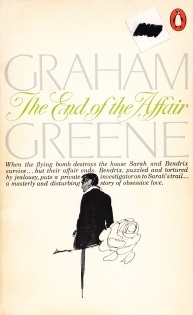 The world of Graham Greene, to me, is one where everything is bathed in a slightly sickly green shade of light. A piece of your clothing has had a bit of vomit merely brushed off with a few sweeps of the hand, and wherever you step your shoes sink into the mud until the cold water seeps in and starts to wet the bottoms of your socks. 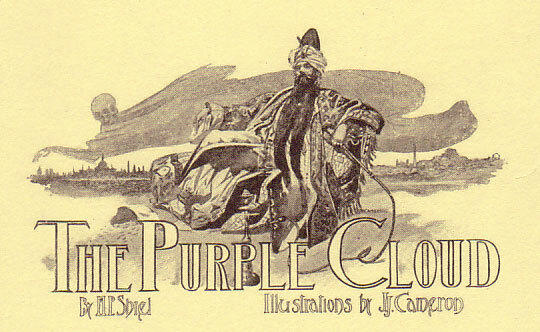 In this, one his most famous novels, Greene used one of his own affairs as the raw material to write a novel that probes love, hate, and the presence (or lack thereof) of God in each of our lives.